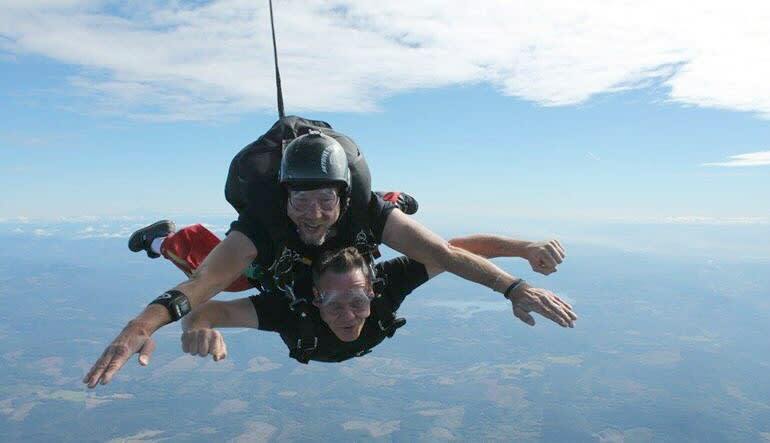 Take a tandem jump that provides views of Mount St. Helens and the Cascade mountain range, located between Portland, OR and Olympia, Washington. You'll climb to altitude after receiving a training briefing and watching a short video. 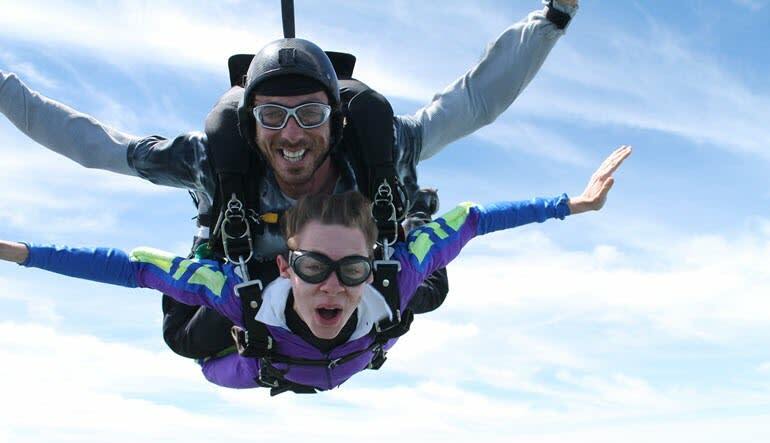 You and your instructor will exit the airplane together freefalling to about 5,000 feet above the ground where your instructor will open the parachute and you will experience a peaceful glide to the ground. Conveniently located in between Olympia, WA and Portland, OR and just a short drive from Seattle, this drop zone offers idyllic views just outside of the city. If you are ready to take the jump, this drop zone is Toledo is sure to make it worthwhile and the memory of a lifetime. 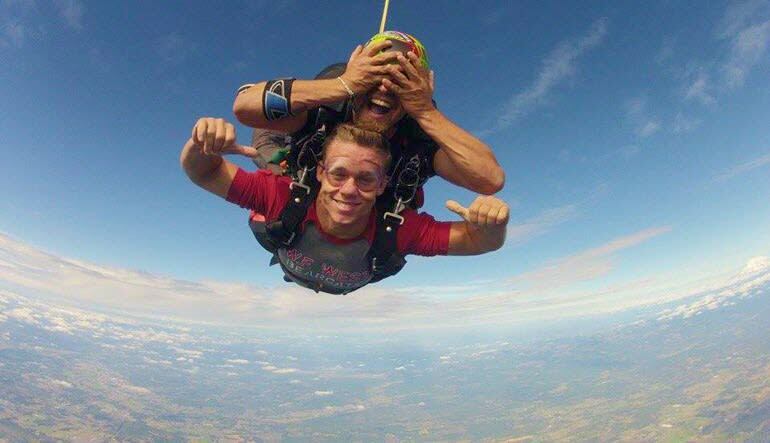 Thank you for a unforgettable skydiving experience. The instructor Zoedy was so encouraging and explained every steps clearly that I fully trusted his guidance . And everyone is friendly there . Wish I have chance to come back again . You guys are Awesome ! My instructor Steve was very informative and knowledgeable and the staff was super friendly and willing to share their stories. 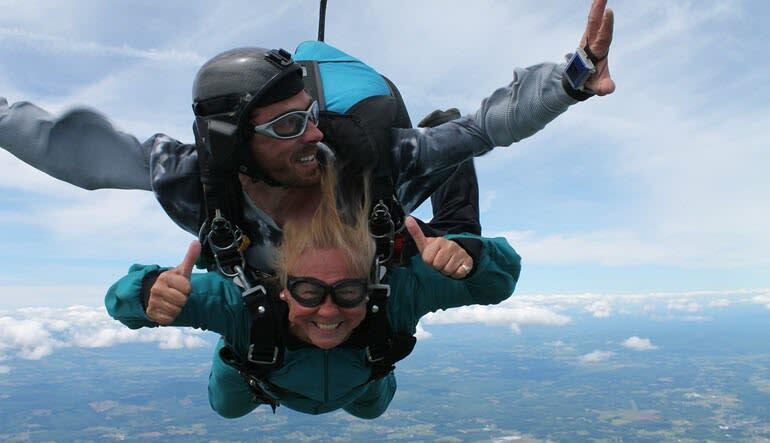 Everything was great from your customer service rep Kayme, to the Toledo Skydive. Thank you! Max weight 230 lbs. Any jumper over 200 lbs will be considered on a case-by-case basis.